Matthew Caron, 5, and Peter White Public Library youth services assisant Ruth Ammons look through a book about LEGOs and discuss project ideas. 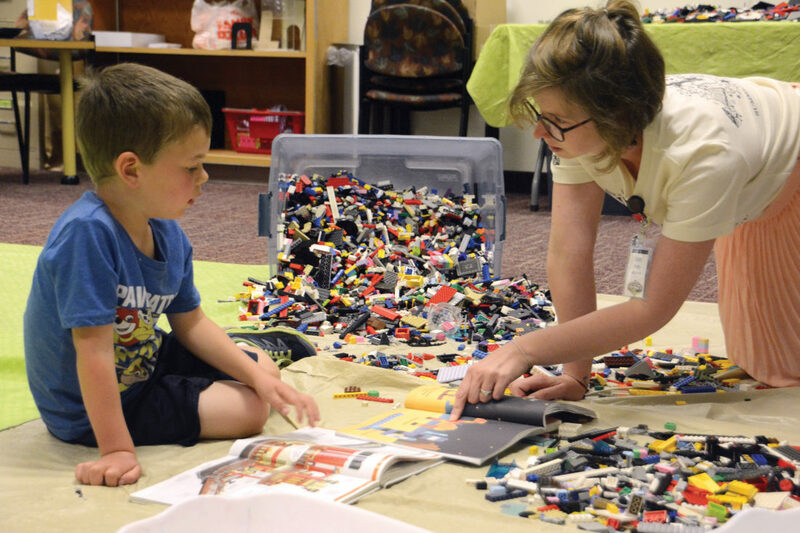 The library held its first LEGO event of the summer at the Children’s Branch of the Library at Westwood Mall in Marquette Township Friday afternoon. Children ages 5 and up were invited to build and create with the library’s entire collection of LEGO pieces. The next LEGO event will be at 3:30 and 5:30 p.m. June 29, with two more sessions July 13 and 27. (Journal photo by Corey Kelly). MARQUETTE — LEGO’s rock! At least Peter White Public Library’s Children’s Branch think so. The library held its first LEGO event of the summer at the Children’s Branch of the Library at Westwood Mall Friday afternoon. 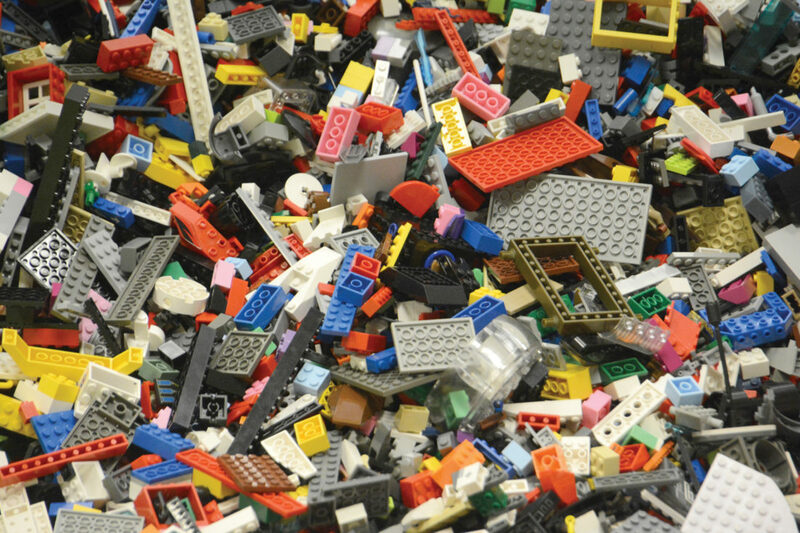 Children ages 5 and up were invited to build and create with the library’s entire collection of LEGO pieces, six bins worth. It was a great opportunity for participants to interact with other like-minded enthusiasts and work on projects together. “They can build whatever they want and it’s great skills for hanging out with other kids. There are no limits to what they can and can’t do,” said Amanda Pierce, PWPL Youth Services assistant. The LEGO’s Rock! 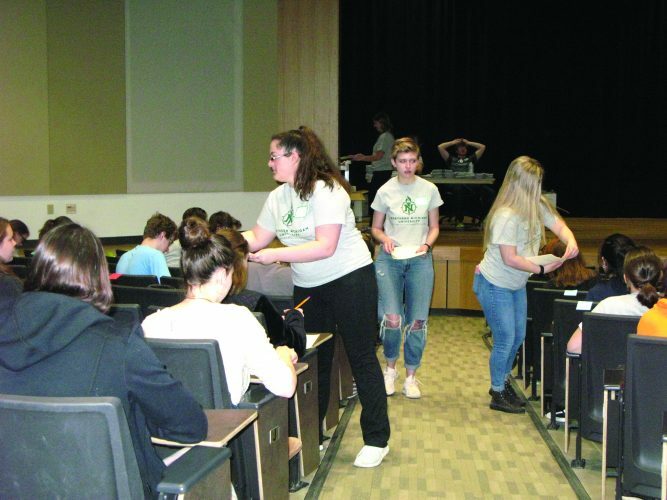 event differs from the LEGO Club that meets during the school year. 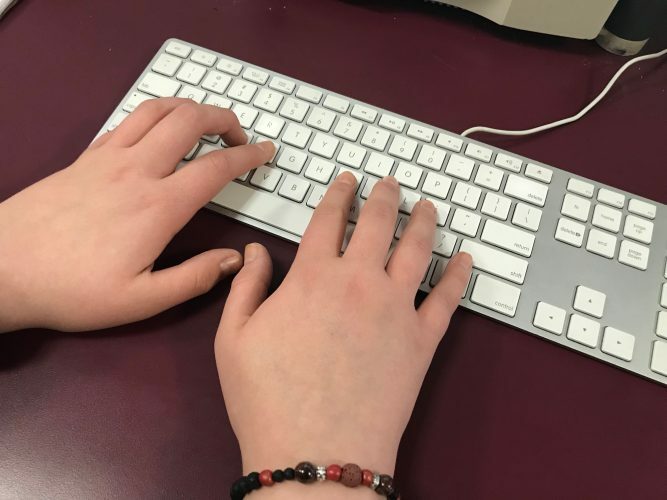 Pierce described the event being a “LEGO Club but on a larger scale.” The two-hour session provides participants the opportunity to create with free-form expression, versus the club sessions, which tend to be structured. Library staff pulled LEGO-related books out for participants to draw inspiration from for their projects. 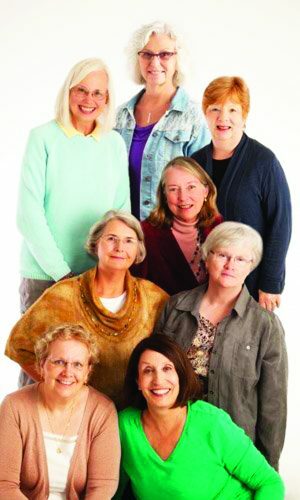 Other than sublet suggestions, enthusiasts are allowed to let their imaginations lead the way. The next LEGO event will be at 3:30 and 5:30 p.m. June 29, with two more sessions July 13 and 27. For more information, call 906-226-4320, visit www.pwpl.info or find Peter White Public Library Youth Services on Facebook.